•	What is an ELITE Certificate? The Environmental Legionella Isolation Techniques Evaluation (ELITE) Program issues Certificates to laboratories that have demonstrated success in isolating legionellae from simulated environmental samples by culture. Member laboratories perform industry best practices for isolate recovery and confirmation to the genus level. ELITE Member laboratories should be considered for environmental testing conducted as part of an investigation into cases of disease. CDC lists Member laboratories’ contact information on its website as a service to the general public and domestic and international public health partners. •	How do I enroll in the ELITE Program? The Wisconsin State Laboratory of Hygiene (WSLH) produces and distributes ELITE panels. For an annual fee, laboratories that wish to earn an ELITE Certificate may enroll directly with WSLH. Any laboratory that cultures Legionella from environmental samples is encouraged to enroll. WSLH transmits results directly to CDC ELITE Program administrators to keep member status updated. •	We have multiple laboratories in our organization. Does each lab need to enroll separately? Yes. CDC issues Certificates to a specific laboratory, not an organization. Each location within the organization that tests environmental samples for legionellae should create its own account and participate individually. •	How do I access my ELITE Certificate? 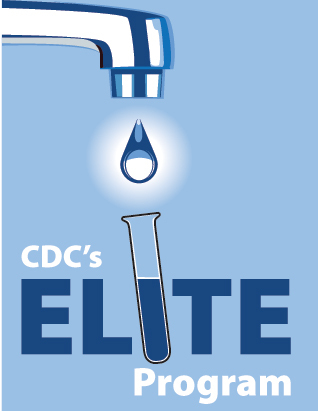 CDC issues the ELITE Certificate and you may access it via a password-protected page . CDC annually issues certificates according to results provided directly to CDC from WSLH. •	What is in an ELITE panel? To receive a passing score, laboratories must correctly identify the positive and negative samples. The variable samples are included to help CDC determine limits of detection across industry laboratories, but do not count toward the score. Two passing scores per calendar year are necessary to maintain an ELITE Certificate. •	Must I use a specific protocol to test an ELITE panel? CDC issues ELITE Certificates according to traditional culture results. These may be generated using CDC’s Procedures for the Recovery of Legionella from the Environment, ISO 11731, or any equivalent spread-plate protocol. ELITE panels also may be suitable to assess other test methods, such as PCR or bacterial enzyme detection. Consult the test provider to determine suitability of ELITE panels for this purpose. Consult your regional, national, or international accrediting body to determine acceptable performance criteria for the alternate test method. • We only test for Legionella pneumophila. Can we participate? It depends. Although L. pneumophila causes the vast majority of disease, all members of genus Legionella are potentially pathogenic. Thus, for the purposes of investigations into disease, CDC requires that ELITE Member laboratories are familiar with the defining characteristics of the genus. A laboratory that is capable of isolating all members of the genus but only type a subset would be able to earn an ELITE Certificate. However, a laboratory that uses a test method that is only capable of detecting a subset of Legionella species would not qualify for the ELITE Program. •	May I use PCR or some other non-traditional method to earn a Certificate? No. CDC issues Certificates only on the basis of results generated by a traditional spread-plate culture method. However, accrediting bodies may consider ELITE panels suitable to assess other test methods, such as PCR or bacterial enzyme detection. Consult the test provider to determine suitability of ELITE panels for this purpose. Consult the regional, national, or international accrediting body to determine acceptable performance criteria for the alternate test method at this time. For 2018, the ELITE Program is planning to add additional performance evaluation criteria to its reports. This will allow regional, national, and international accrediting bodies to evaluate your laboratory in a variety of detection methods, including PCR and bacterial enzyme detection. •	How often will we receive panels? Two times per year. WSLH manages ELITE Panel production and distribution. Please contact PTService@slh.wisc.edu or 800-462-5261 for shipping schedules, results entry deadlines, and other administrative questions. •	How does CDC score results? The minimum information needed for results submission is whether or not Legionella was isolated from a test sample. CDC encourages participating laboratories to also enter the concentration, species, and serogroup, where applicable, in order to better gauge industry capacity. CDC scores the combination of all qualitative results from a panel on a pass/fail basis according only to the reported presence or absence of Legionella. •	What happens if we fail? A limited number of interim panels are available to makeup failures. Contact PTService@slh.wisc.edu or 800-462-5261 to schedule an interim panel. Two consecutive failures in one calendar year may result in revocation of the Certificate and removal from the ELITE Member’s list. Participants will be able to re-enroll in the next calendar year.